Brian Poser joined the Atkinson Centre for Mature and Part-time Students as Associate Director in August 2008. He completed his Bachelor of Arts degree at York University and he holds a Master of Education degree from the Ontario Institute for Studies in Education at the University of Toronto. Brian’s academic interests include computer-mediated learning environments, distance education, student self-regulated learning, adult development, and retention. 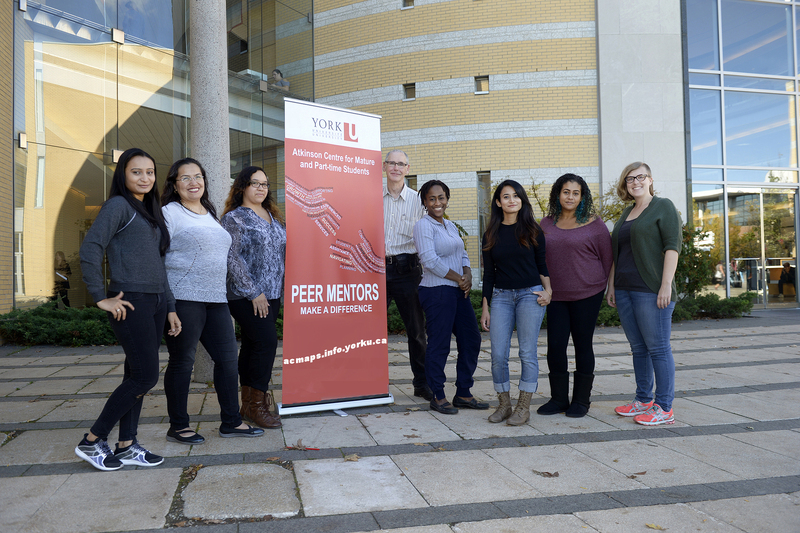 From 1990 to 2004, Brian served as Learning Skills Counsellor with the Counselling and Development Centre at York University. During that time, he also was an instructor in LLS1800 (Language and Learning Seminar for students with Learning Disabilities) and co-authored the Fundamentals of Learning Program, a structured retention program for at-risk students. In 2005, Brian joined the Student Community & Leadership Development team as Manager Student Activities and Organizations, working in the areas of orientation and co-curricular student experience. 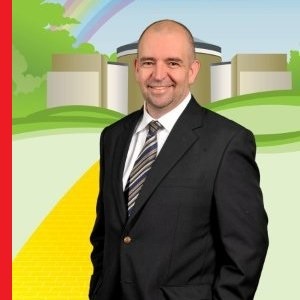 In 2006 Brian assumed the role of Manager, Student Success & Retention with a mandate to integrate orientation and transition programming with ongoing student success support and pan-university retention initiatives. Brian has worked extensively with students on academic skills, time management, academic writing, learning styles, and personal success. Brian is looking forward to working with mature and part-time students and building on the early foundational work of ACMAPS in the areas of access, support, advocacy, and research. Karen began her career at York as a mature student in 1989. After taking some time away from studies, she returned in 1999. However, this time she faced the challenges of completing the degree she began almost a decade before on a part-time basis, while balancing a full-time job and being a single-parent with a young daughter. With determination and the flexibility of courses offered through Distance Education, she graduated in June 2000 with her first degree, a Bachelor of Human Resources. She then completed her Bachelor’s degree in Social Work in June 2007. With an eye to continuing her education and creating new opportunities for herself, Karen plans to pursue graduate work in Social Work or Educational Counselling. Karen has worked for the past seven years in various positions within different Faculties at York. Most recently, she was an Academic Advisor within the Faculty of Arts, Student Academic Centre. being away for several years or decades. Navinie Somaroo-Durga is one of the friendly faces at ACMAPS. Schulich School of Business, Executive Education Centre. 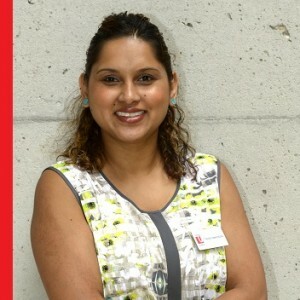 After graduating, Navinie held various positions at York, which included being the Enquiries Secretary for the Atkinson Writing Programs and Essay Tutoring Centre. Prior to her position at ACMAPS, Navinie was the Administrative Secretary for the School of Arts & Letters, Atkinson Faculty of Liberal and Professional Studies. Navinie brings with her a broad knowledge of the University and its student support resources. Being a former student of York University, she will be able to inform students on how to navigate York’s resources with ease. Navinie looks forward to meeting and assisting mature and part-time students. Norma Sue Fisher-Stitt entered York University as a mature student five years after she graduated from Canada’s National Ballet School. During those five years, as a member of the National Ballet of Canada, she toured throughout North America and Europe. Once she arrived at York, she never left! After earning her Honours BA, she was invited to teach ballet technique in the Dance Department at York University. An advocate of life-long learning, she later went on to complete her MFA in Dance at York and then her Doctorate in Dance from Temple University (Philadelphia). In her capacity as an Associate Professor in the Department of Dance at York, she has taught undergraduate and graduate courses in the areas of ballet technique, dance history, research methods, dance and technology, and dance education. Dr. Fisher-Stitt has been an Associate Dean in both the Faculty of Graduate Studies and the Faculty of Fine Arts. Dr. Fisher-Stitt was on the Board of the Society of Dance History Scholars for six years, and currently is a member of their Editorial Board. In 2010, her book on the history and evolution of Canada’s National Ballet School was published. She has presented papers at conferences held by the Society of Dance History Scholars, the Society for Canadian Dance Studies, the European Association of Dance Historians, the Association for Canadian Theatre Research, Dance and Technology, as well as conferences related to Retention and the International First Year Experience. 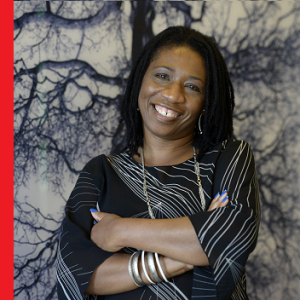 As Director of ACMAPS and AVP Academic Learning Initiatives, Norma Sue interacted regularly with students and was always ready to hear what ACMAPS could do to ensure that mature and part-time students had a rewarding experience at York University. Starting July 1, 2011, Norma Sue will resume her teaching in the Department of Dance, Faculty of Fine Arts and assume the role of Graduate Program Director, Dance Program. Prior to joining York University in 2008, Mary Barbieri worked for 20 years with TD Bank Financial Group as an Administrative Assistant and Human Resources Generalist. At York, Mary served as an Administrative Assistant and Student Financial Service Assistant in Osgoode Hall Law School before taking on a full-time role as Receptionist in the Office of the Dean, Faculty of Liberal Arts & Professional Studies. Mary is currently covering a Maternity Leave position at the Atkinson Centre for Mature and Part-time Students as Receptionist/Administrative Secretary. A mature student herself, Mary is currently working towards her HRM Certificate and looks forward to working in ACMAPS, building student relationships and contributing to the team through her excellent customer service, event management and secretarial skills. Joanne has greatly enjoyed working at York University for the past nine years in various secretarial positions with the Department of Anthropology - Faculty of Arts, Associate Dean's Office & MBA Program Office - Schulich School of Business, School of HRM - LA & PS and most recently with the School of Nursing - Faculty of Health. Joanne has an Economics degree from the University of Mumbai and is currently herself a Mature & Part Time student working towards the BAS degree at York. Joanne is excited to be a member of the ACMAPS community and looks forward to welcoming you to the Centre.